From Cartier to Rolex, luxury watches have always been a staple of celebrity fashion, be it as statement pieces to make them stand out, or for their glamorous elegance bringing along an aura of class and sophistication. Often, Hollywood actors, singers, and socialites become brand ambassadors of luxury watch brands, and their endorsement does tend to drive sales of the watches they sport on their wrists. Let’s have a look at the top five most popular watches worn by celebrities. A real status symbol, the Rolex Oyster Perpetual Day-Date is also nicknamed “the Presidents’ Watch” and was a favorite of Lyndon Johnson. The Day-Date, launched in 1956 and made from 18k gold, is the world’s first waterproof chronograph watch. Most recently, it has been worn by Justin Timberlake nearly everywhere he goes. Other celebrities seen wearing a Rolex Oyster Perpetual Day Dates include Warren Buffet, LeBron James, and Victoria Beckham. With Cartier’s longstanding relationships among royalty, this is a choice preferred by nobility and those who aspire to stand among their ranks. Once described as “the jeweler of kings and the king of jewelers” by King Edward VII, Cartier is a leader in timepiece elegance. Bearing a clean look and classy curves, as well as the tasteful blue accent, this modern classic still adorns British royalty and even Hollywood actresses to this day. Kate Middleton has been seen wearing a Ballon Bleu, as well as Kylie Jenner, Bonnie Hammer and Sofa Vergara. Classy yet casual, made in stainless steel, the Audemars Piguet Royal Oak has become extremely popular especially among Hollywood celebrities. James Corden has brought new prominence to the Selfwinding variety, wearing the watch in his videos and shows, but the Quartz version is also very popular for those who desire the style without the hassle. Other fans of Audemars Piguet include Justin Bieber, Jay-Z, Ellen DeGeneres, Kevin Hart and Denzel Washington. They say scarcity drives up demand, and with the long wait time needed to purchase a Rolex Daytona, of course, this watch would be popular among celebrities. Originally designed to meet the needs of professional racecar drivers in 1963, many celebrities have also picked it up, including Miley Cyrus, Jason Bateman, John Mayer and Leonardo Dicaprio. While IWC is a favorite with many celebrities, its Portofino design stands out as a classic addition to any watch collection. Sporting clean lines and a simplistic design, the IWC embodies elegance in an understated fashion. Celebrities spotted wearing an IWC Portofino include Emily Ratajkowski and Kate Mara. Have A Luxury Watch You’d Like To Sell? Some celebrities’ watch collections are valued at millions of dollars, and if they ever were in need, they could certainly make a lot of money by selling their watches. If you have a luxury watch you’re looking to sell, look no further than Global Gold and Silver. We have three stores in the New York and New Jersey area, and best of all, we offer a 110% price guarantee so you can be sure you’ll always get the best deal. You can even sell online for your convenience – we have a trustworthy system in place to make sure your watches are taken good care of. Chat with us today! For nearly two centuries, Cartier has been adorning the crowns and wrists of royalty in France and the UK. King Edward VII of England referred to Cartier as "the jeweler of kings and the king of jewelers”. More recently, Kate Middleton, the Duchess of Cambridge, has been spotted wearing the Cartier Ballon Bleu watch. Cartier is associated with royalty, and wearing a Cartier watch can certainly make you feel like a king or queen. Cartier was founded in Paris in 1847 by master jeweler Louis-François Cartier. The family business was carried on by his son Alfred, and eventually his grandsons, Pierre, Louis, and Jacques. Rooted in jewelry making such as crafting crowns for royal ceremonies, Cartier also made jewelry watches and pocket watches. Innovation came in 1904 when Louis Cartier designed a flat wristwatch with a distinctive square bezel for his friend, the Brazilian pioneer aviator Alberto Santos-Dumont. Thus, the “Santos” was Cartier's first men's wristwatch. There are several types of imagery often associated with Cartier. First and foremost is the panthère (based on the spotted designs, panther here seems to refer more to the cheetah), the contribution of Jeanne Toussaint in 1914, representing feminine elegance, independence, and free-thinking temperament. The panthère remains iconic of Cartier to this day. Also prominent is the image of flora, most enhanced by the jeweler’s garland style designs, as well as a menagerie of fauna, from birds in full flight, to the exotic safari animals of Africa, sacred animals from Egypt, and dragons and chimera from Asia. With a longstanding reputation for producing the highest quality luxury jewelry and timepieces, Cartier products always fetch a good price and you should never have any trouble selling them. However, it is necessary to approach a trusted purchaser so that you do not lose out on your timepiece’s real value. Certified jewelers and gemologists who understand the true value of luxury goods would do proper research to accurately quote you for your items. One such institution is Global Gold and Silver, with certified gemologists at each of their three stores in New York and New Jersey, as well as high praise on the Better Business Bureau and positive reviews on Yelp and Citysearch. They even have a 110% price match guarantee so you know you will definitely get the best deal. Contact Global Gold and Silver today for a quote, or visit their website to find out more! Amongst luxury watch aficionados, Breitling is firmly positioned as the makers of precision chronometers designed for aviators. Based in Grenchen, Switzerland, Breitling watches often come to mind for delivering top quality products and also carrying a great deal of status. Breitling SA was founded in Saint-Imier, Bernese Jura by the master watchmaker Léon Breitling in 1884. Focusing on chronographs, which were increasingly in demand at the time for industrial, scientific, and military use as well as athletic organizations, Léon Breitling was constantly innovating and setting the standard for watches. Amongst his innovations were a chronograph model which included a pulsograph, featuring a logarithmic scale ideal for measuring a patient’s heart rate, as well as a tachymeter which could measure any speed between 15 and 150km/h, eventually employed by police to check drivers for speeding. In 1915, Léon Breitling’s son Gaston made history by launching one of the world’s first chronographs with a separate push-piece above the watch’s crown. The company eventually went on to patent the design with two push-pieces, allowing users of the stopwatch to measure multiple times in sequence, and birthing the button-pressing click on stopwatches that we are so used to today. Breitling only began introducing watches for civilian use around 1943. During the World War II, Breitling watches became the staple for the Royal Air Force. Astronaut Scott Carpenter helped design a new version of the Navitimer watch with a 24-hour dial which he used during his mission aboard the Aurora 7 spacecraft. In the 1965 film Thunderball, James Bond played by Sean Connery wore a special Top Time watch which helped him locate stolen missiles underwater. Countless other celebrities have sported a Breitling on their wrists, including actress Raquel Welch, jazz legend Miles Davis, and Formula 1 drivers Jim Clark and Graham Hill. Breitling timepieces, with their incredibly long history, are known to have a high resale value. If you have a Breitling on hand you no longer want to keep, it is important to speak to a professional, reliable jewelry purchaser so as to avoid getting cheated. Global Gold and Silver are backed up by the Better Business Bureau, and also receive large amounts of praise from satisfied customers on Yelp and Citysearch. For sellers in New York and New Jersey, it could be very convenient for you to drop by a Global Gold and Silver store (there are three in the area) and speak to a certified gemologist. Check out our store locations, and you can also sell by mail if you find that more convenient for yourself. 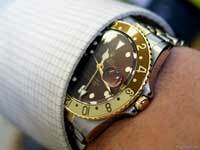 We specialize in purchasing luxury watches, even providing repair services if your watch is no longer working. You can be sure your watch will be in good hands with Global Gold and Silver. So you have some old jewelry you no longer wear, or that was given to you by your great-grandmother and is ridiculously out of fashion. Or you may have a luxury watch that you don’t want to wear anymore as you’ve already replaced it with a new one. It doesn’t mean you have to hang on to this unwanted jewelry – you can just as easily sell them and turn a pretty penny for them. But before you walk out of the house carrying all your valuables and bring them into the first pawn shop you see, it’s best to do a little research. Here are our top tips for selling gold & silver that will certainly make your life easier. This is the easiest thing to do, especially if you’re already on the Internet like you are now. Reading up what other customers have said about their dealings and experiences with the company is a surefire way of knowing whether the place is likely to give you a good experience as well. Check on Facebook, Yelp, Citysearch or any other reviews sites. Be careful of fake reviews, though – but generally, the more reviews, the more of a positive indication that there are real reviews in there. Firstly and most importantly, the company that deals with your gold and silver needs to be a registered company. Check it out on the Better Business Bureau, where you can also file complaints against the company should you find them suspicious of wrongdoing. You can also check for others’ feedback on the company on this portal. Make sure the company you go with has a good track record – that’s your gold and silver we’re talking about! It’s tricky to mail your gold and silver over to a company to get a quote and realize you can’t take it back, for instance, or to bring it to a shop for a valuation only to find out the offer is one you can’t refuse (and not in a positive sense). Be sure to check out the website for guarantees that you have the final say over whether or not you accept the offer, and if you’re mailing the gold and silver in, they must have certain procedures in place to assure your jewelry’s safety and security. Some companies even offer more guarantees than that! Don’t be tempted by a high price from the first offer, because the next one might offer you even more! When all is said and done, you want to get the best deal for yourself – so be sure to check with a few places before settling on your sale. Of course, you want to be sure that all the quotes come from trustworthy sources, and you don’t end up with a ridiculously high quote that is simply too good to be true. While selling gold and silver should not be taken lightly, it also doesn’t have to cause a massive headache. Be sure to check out Global Gold and Silver in your quote hunting. The company even offers a 110% price match guarantee, so you would definitely be getting the best deal! Contact them today! [title] => What Options Do You Have For Selling Your Engagement Ring? Making the decision to sell your engagement ring should be the hardest part – the rest should be easy. Don’t let your experience be ruined by a low appraisal, or interacting with someone who doesn’t know how to appreciate what the ring is really worth. 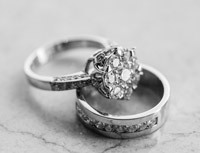 If you have a ring to sell, here are several options for you to consider before choosing the best way to sell it. One of the most traditional ways to sell off an engagement ring. Auction houses typically have diamond and jewelry experts who would be able to give a proper evaluation of the value of your ring. However, you will have to get on the schedule for the next auction, and the auction house takes a cut off the selling price. Also, there is in fact no guarantee as to whether it will sell, as it all depends on the fickle taste of the market. If you’re willing to see how high a bid can go, this could be a fun option – but if you’re not willing to have to sell it to a lowballer, this may not be the right way for you. Pawn shops take the risk out of the equation, as they will most likely buy your ring from you. There are always many pawn shops to go to, and they are a great option if you want some quick cash. The problem with pawn shops, however, is that they usually don’t hire experts – they might just put your ring on a scale and give you a low price for it. However, the melt price of a ring might not be enough for you, especially if it is a designer item, vintage, or may have a higher market value for any reason, you would not be satisfied with this option. When you’ve got something valuable, you know you won’t part with it for less than the best value it can bring you. That’s when specialist jewelry buyers come in. While they are not as common place as pawn shops, nor bring potentially high speculative prices like auction houses, they are experts in their field, and highly trustworthy. You can send in your ring for a thorough evaluation, get a quote, and you will not have to part with the ring if you don’t feel comfortable with the price. Any Recommendations for Jewelry Buyers In New York or New Jersey? For a reliable, trustworthy option, look to Global Gold & Silver. We are accredited by the Better Business Bureau, and our previous customers left us high praises on Yelp and Citysearch! We have a gemologist available at each of our three branches, who would be happy to give you an itemized appraisal of your ring, and share with you as much information as we can. We do our research as well based on brand, design, and historic value, to know if items brought in might be worth more than just the metal scrap value. You can feel confident that we will pay out a fair sum for your items. Best of all, if you are tight for time, you can even sell by mail and we can send you our valuation for you to consider. Read our FAQ, or visit us in any of our stores to find out more! [title] => What Is The Most Popular Gold Bullion Coin In The World? There’s the South African Krugerrand, the Canadian Maple Leaf, the Swiss Vreneli, and so many more – but it’s the American Gold Eagle that soars above them all. Between 1986 and 2017, well over 40 million American Gold Eagles have been sold. Why the American Gold Eagle? One of the biggest reasons could be historical. Before 1986, ownership of gold bullion by US citizens was outlawed from 1933-1974. In 1975 however, there were no American gold bullion coins, hence the Krugerrand was the most popular coin in the world. However, the US Mint began producing gold and silver coins again, thanks to a recommendation presented by Congressman Ron Paul, in conjunction with his work with the Gold Commission set up by President Reagan in 1981. Hence, the American Gold Eagle became the first annually minted gold coin produced in the United States, and its popularity picked up from there. The American Gold Eagle features a dual faced design. On one side is the image of a bald eagle, flying towards its nest where a baby eagle sits waiting. It also features the phrases “United States of America”, “In God We Trust” and “e pluribus unum”, which means “out of many, one” and is the motto of the United States. On the other side is the image of lady liberty, holding a torch aloft in one hand, and with an olive branch in the other. The word “liberty” is also found on the coin face, as is the date of minting. The dates appear in roman numerals on the 1986-1991 coins, but from 1992 onwards they are shown in Arabic numerals. As the design of the American Gold Eagle has not changed since 1986 other than the numeral system change, sellers can be sure that each gold coin is mutually interchangeable and of equal worth in terms of size and purity. American Gold Eagles are 22K gold and are made up of .9167 gold, .0533 copper and .03 silver. The one ounce American Gold Eagle coin contains an ounce of pure gold. However, it is worth noting that because it is 91.67% gold, the coin itself weighs slightly more than one ounce (1.0909 oz.) American Gold Eagle coins are produced by the US Mint, which is a division of the US Treasury, the most powerful treasury in the world, which ensures the quality and purity of each minted coin. They are minted in only two locations – the United States Philadelphia and West Point mints. These coins come in different sizes – there are 1/10, 1/4, 1/2 and 1 ounce sized coins for greater convenience of investors. The American Gold Eagle is legal tender of the United States of America. The one ounce coin carries a face value of $50. There are also 1/2 oz. ($25), 1/4 oz. ($10) and 1/10 oz. ($5) American Gold Eagle coins. Furthermore, as a collector’s item, some American Gold Eagles from certain dates which are rarer than others command a much higher price than the others. Do you have an American Gold Eagle and are looking to sell it? Send it to a professional jewelry buyer to make sure you aren’t selling it for less than what it could fetch. At Global Gold and Silver, we run background checks on all items brought in to test for any possible increased value based on historicity, rarity and so forth. Chat with us today! 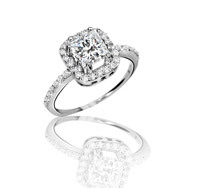 What Options Do You Have For Selling Your Engagement Ring? What Is The Most Popular Gold Bullion Coin In The World?